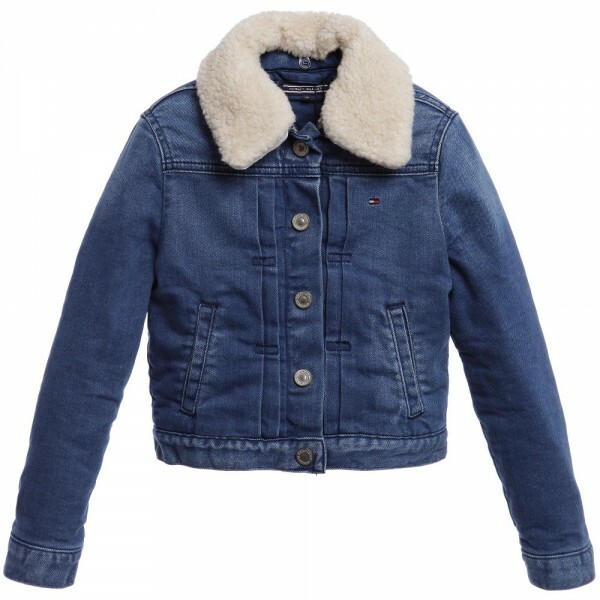 Fashionable little girls jacket made by Tommy Hilfiger. The jacket has a stylish design with woolly fleece lining that keeps a warmth and a detachable fleece collar. 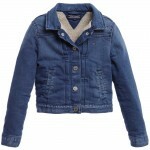 The fabric is cotton, polyester and elastane with soft denim feel makes this item soft and pleasant to wear. 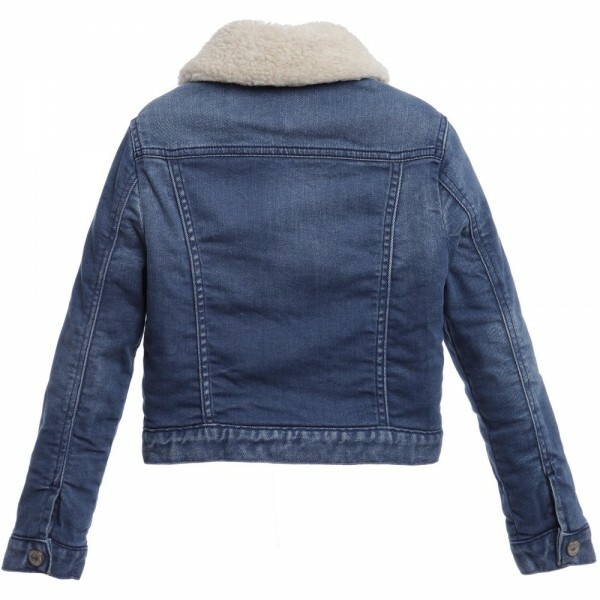 It has a long sleeves, front pockets and a popper fastenings on the front. 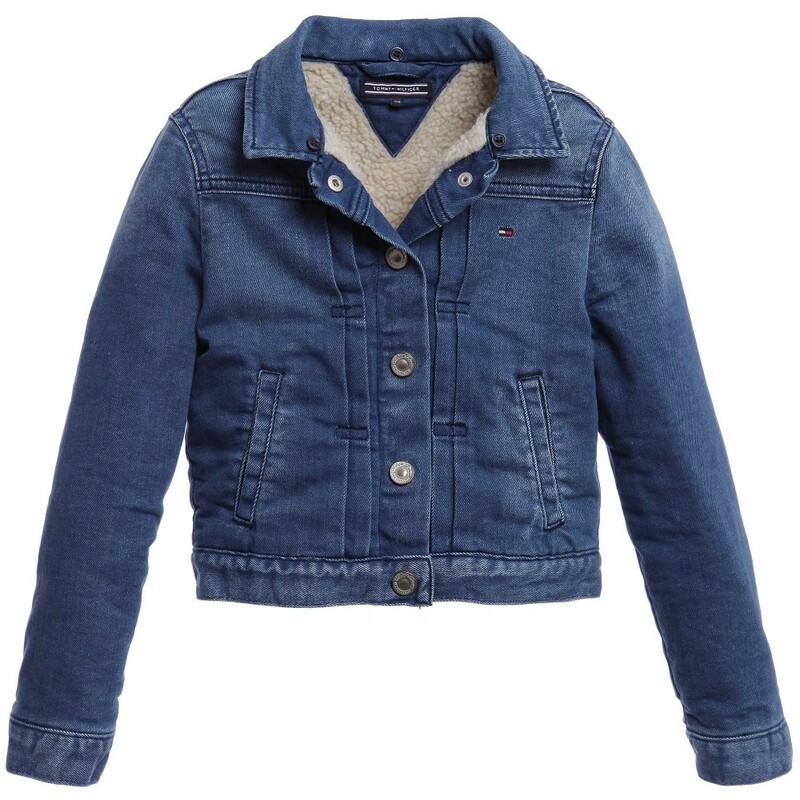 This jacket is “must have” in wardrobe of every fashion monger who like a feel comfort. You may use machine wash (30*C). 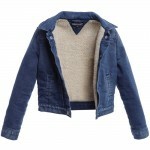 This jacket can be in different sizes for girls in the age from 6 to 16 years.